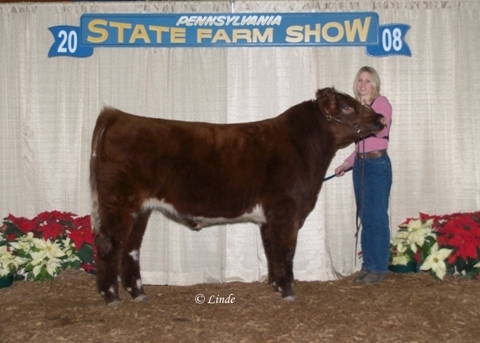 Reserve Calf Champion Bull. Sire: K-Kim Xception 156R. Dam's Sire: WHR Sonny 8114. Sold to Charlie Bomgardner, Lebanon, PA.